The thing that intrigued me about this was “portable audio midi device for iOS.” It’s really interesting – I’ve never recorded my guitar onto my iPhone before! We’re going to try it and you’re going to see it in real time! This is a great idea for me because I always travel with a laptop and of course an interface! With this, I can leave my laptop and travel with the iRig and my iPhone! IK Multimedia was gracious enough to give us one of these to give away! And YES! We ship to winners WOLRD-WIDE! IK Multimedia’s popular line of portable recording interfaces for iPhone, iPod Touch, iPad, and Mac/PC–aptly dubbed the “iRig” series–offer pro-quality audio in compact, affordable packages. The new iRig features a host of possible connections. 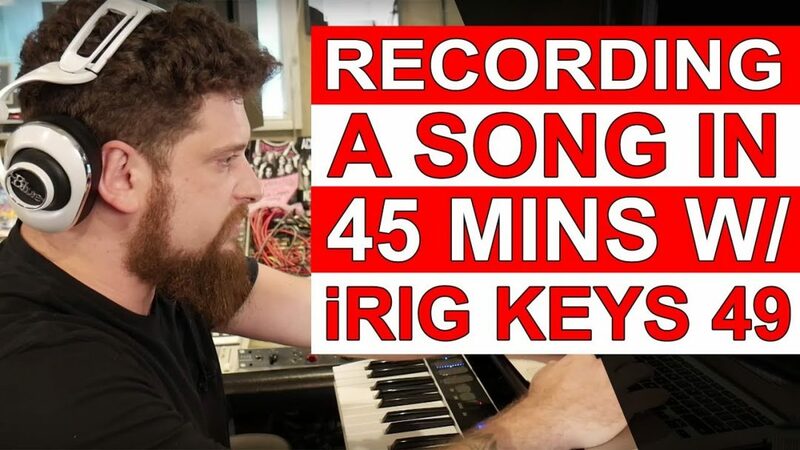 The new iRig Pro I/O is no exception to the careful attention IK Multimedia has paid to making high-quality recording rigs for on-the-go musicians. The iRig Pro I/O is perhaps the most versatile unit in the series, designed for use with microphones, guitars, keyboards, basses, and MIDI controllers. Like its big brother, the iRig Pro Duo, the I/O version features options for any conceivable mobile recording scenario, but with a smaller footprint! The brand new iRig Pro I/O performs like a pro in a pocketable format. The iRig Pro I/O is right at home in a laptop or gig bag. Featuring 24-bit A/D and D/A converters with a 96kHz sample rate, high-definition audio recordings are a sure-thing. The unit sports a single Neutrik hybrid 1/4″-XLR input for use with mics, guitars, and other line-level instruments, and connects to your mobile device via included Lightning or USB cables. And yes! Your favorite active microphones can be powered with the I/O’s onboard 48V phantom power. It also contains MIDI in/out connections for your keyboards, controllers, sound modules, or other devices. While they aren’t standard 5-pin MIDI connections, IK Multimedia provides two 5-pin to 2.5 mm cables to make the right connections with the device’s 2.5 mm MIDI I/O. It’s supposed to be portable, after all! Finally, the addition of an 1/8″ headphone out ensures that you’ll be able to monitor your signal; even if your mobile device has eliminated it. IK Multimedia bundles the unit with plenty of software/apps to make out-of-the-box creation effortless. With a collection of apps and software totaling well over the device itself’s cost, the iRig Pro I/O lets you hit the ground recording. Guitarists can make quick use of the included AmpliTube software for both iOS and Mac/PC, and keyboardists will lose themselves in the 4,000 different sounds contained in SampleTank 3 SE. Even further, Mic Room is a fun way to change the character of your physical microphones via a collection of sims modeling classic mics. Want 87 sound but a 57 is all you have? iRig Pro’s Mic Room can get you close! 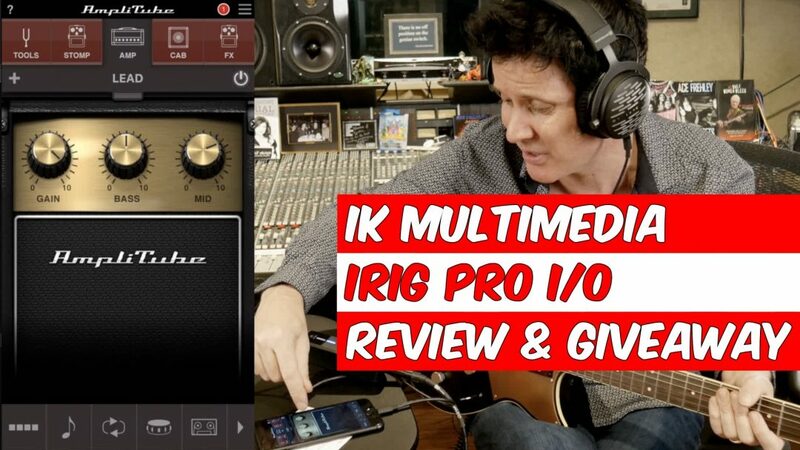 If you’d rather not make sacrifices in the mobility, versatility, and quality departments, you can just about get the best of everything with IK Multimedia’s iRig Pro I/O.